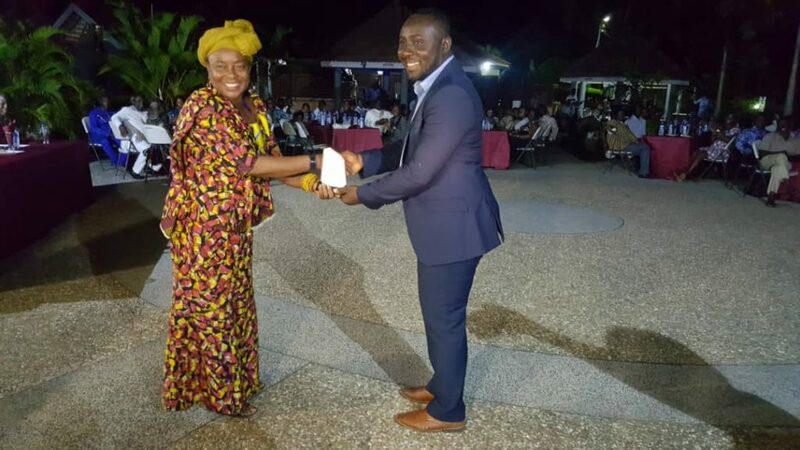 Citi FM has been adjudged the most impactful media for promoting water, sanitation and hygiene-related (WASH) issues at the 2018 National WASH Stewardship Awards’ which took place at Sogakope in the Volta Region on Thursday. The award committee in its citation said Citi FM’s commitment to consistent WASH reporting, initiative in exploring over-looked WASH issues and challenges and in-depth and investigative work on WASH among others made the station outshine its competitors. The Most Impactful Projects went to GAMA sanitation and Water Project whiles Research & Development in WASH went to Prof. Kwabena Nyarko. Speaking to Citi News, Chairman for the Coalition of Non-Governmental Organizations in Water and Sanitation (CONIWAS) Martin Dery underscored the role of the media in our quest to making Ghana one of the cleanest City on the globe. “The sector is also vibrant with an activate minister who is up to the task. There are also qualified and experienced technocrats at the ministry. There also CSOs and development partners who are all passionate about WASH”. Mr. Dery continued, “I believe as a the multi stakeholder group, the Media can also not be ruled out. The media can I am not surprised Citi FM won this prize. I heard an interview Citi FM granted one of our sanitation engineers at the ministry. It is true GAMA won an award for the most improved actor in the sector, and nobody can deny that Citi FM’s constructive criticism has gone a long way to lead to that. I believe if we work to together, constructive criticism, active media support, individual commitment and general improved responsibility by the citizens, I believe we can make Accra a very clean city in the shortest possible time”. The Chairman for the Coalition of NGOs in Water and Sanitation (CONIWAS) Martin Dery rehashed, “the I earlier said many have not bought into the President’s vision of making Accra the cleanest City. “We can buy into that idea, first we need it accept it as a very useful target. We still have people who do not believe in that vision, and once a people you do not believe in something you never put in the effort. We must all agree that it is laudable idea we need to achieve it and then once we make the commitment to achieve it the ways by which to achieve is usually a simple thing. Let me quote Einstein who says the definition of the problem is the most important part, as for the solution is just an arithmetic construction. To buy in these let’s accept it, lets work towards it, and once we work towards, I believe in the human being, innovate have ideas will come from nowhere, and then within a very short time we will achieve that very laudable objective”.